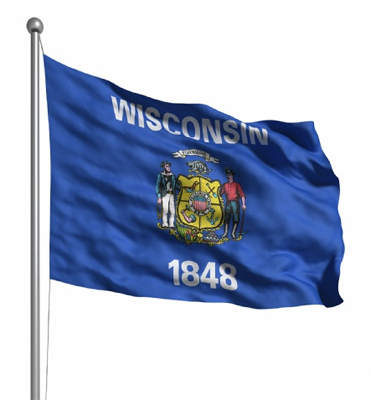 It was in a poker players-packed courtroom that Circuit Court Judge "Richard G. Niess" confirmed Wednesday the illegality of poker in the state of Wisconsin (United States). Recall that the judicial petition came as a request filed by local poker enthusiasts. They actually claim legal recognition of the game as a skill-based one. For consideration, they raised a whopping $ 10,000 fund for legal fees. In his statement, the Judge partly admitted the fact that poker involves more skills and agility. At the same time, he put an emphasis on the way chance plays a big role in winning a poker game. He also said he appreciated the contents of the briefs submitted to the council, from which he tagged the consideration of poker as "entertaining". However, he underlined that he was entrusted with making a judicial decision consistent with Wisconsin laws. Richard G. Niess based his ruling on the 1964-dated "25Wis 2d 638 law" that prohibits poker gaming within the state. The judge added that ruling in favors of the proponents of poker game would refute the current court decisions that sanction any facility for hosting poker tournaments. Anyway, the Judge stood up firm and intransigent on the matter. Minutes after the verdict was in, disappointment-filled opinions were pouring down outside the courtroom. Poker players in attendance said that the Judge simply ducked the core issue. According to them, ruling on whether poker is a game of skill versus chance is the right thing to be addressed at the hearing, and not referring to aging legislation. With this verdict, playing poker remains illegal across Wisconsin.